The US wants to become a key player in Iraq, so a complete defeat of ISIS is not in its interests. It balked every time Russia seriously proposed joining forces against ISIS, says George Szamuely, Senior Research Fellow at the Global Policy Institute. 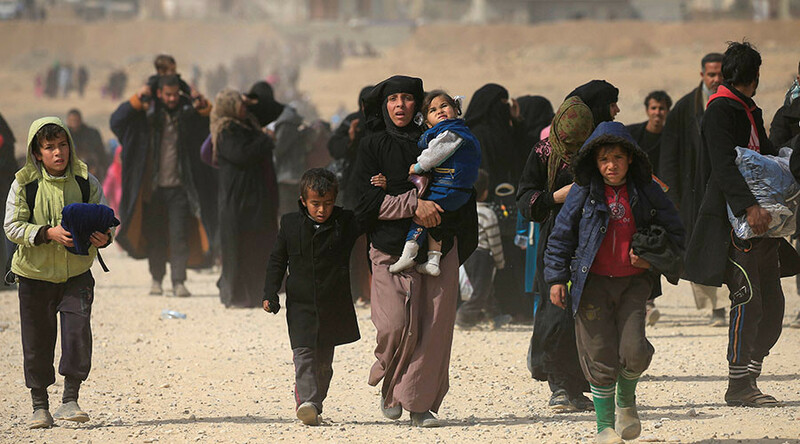 As the US-backed offensive to retake the Islamic State stronghold of Mosul in Iraq intensifies, many have fled the embattled area - and not only civilians. Iraqi security forces have allegedly been capturing ISIS terrorists posing as civilians while attempting to escape the city. The EU's security commissioner has warned that retaking Mosul could drive terrorists in the region toward Europe. Operation Inherent Resolve Commander Lieutenant General Stephen Townsend says the mission to take the western part of Mosul will see fierce clashes. He also confirmed that Iraqi forces have made significant advances in recent days. The western part of Mosul is densely populated, and it's believed that around 750,000 people may be trapped there. 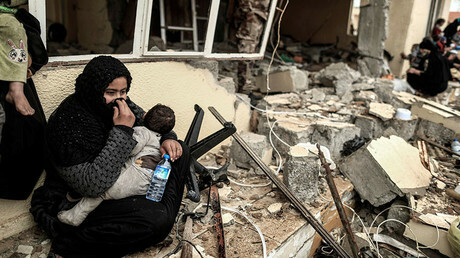 Many have raised concerns the next step in the fight to liberate the city will result in mass civilian casualties. RT: The UN has released a report on civilian casualties in February in Iraq. It says 392 have been killed and over 600 injured. Do you believe that is likely to be accurate? Might it be higher? George Szamuely: I would have thought that it is likely to be much higher than that. This is a classic case in which the US always minimizes the casualties caused by its actions or the actions of its allies while maximizing to the ludicrous extent the casualties caused by their adversaries. The fighting in Mosul has been pretty savage for months and months now. It is very unlikely to be this small. Keep in mind also, that throughout the invasion and occupation of Iraq, the Pentagon was giving out ludicrous numbers for casualties, way less than the figures that were put forward by reputable medical specialists. RT: Do you think the US-led coalition aims to retake Mosul at any cost? There are fears that there will be mass civilian casualties. 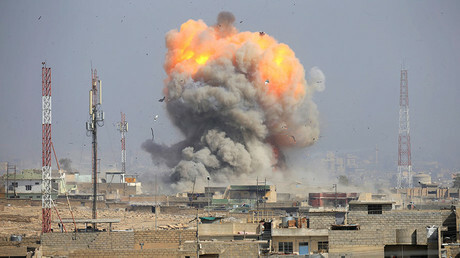 The military experts we spoke to say the US-led operation intends to liberate the city through a massive use of force. Is that the most effective way? GS: Probably not. On the other hand, I am not at all sure that is exactly the US’ goal in Iraq. The US wasn’t really all that happy with what it had achieved by 2011 in Iraq. What had happened after the invasion was that Iran had become the dominant player in Iraq and therefore in the region. So, the US began sponsoring this Sunni extremism, the results of which have been obvious in Iraq and Syria. And therefore, any attempt, if the US were to crush ISIS in Iraq – they will be back to square one. Once again, the Shia would become the dominant force in Iraq. And therefore, Iran would become the dominant player in Iraq. I don’t think that is the US goal. I think the US goal is to become the key player in Iraq. Become the dominant force in Iraq. And that means that it isn’t in the US interest to see ISIS completely defeated. RT: How can casualties be prevented? GS: Casualties, can be prevented if you are not serious about fighting. And I think that from about 2014 on, when the US supposedly went back into Iraq and Syria to defeat ISIS, the US wasn’t very serious about it. There was a lot of talk and a lot of posturing, but it wasn’t really a serious attempt to defeat ISIS and which is why ISIS grew from strength to strength. So, the way you minimize casualties is – if you don’t exactly fight to the maximum extent that is possible. I think that it is very noticeable that anytime there have been serious proposals by the Russians, for instance, that there should be joint operations against ISIS to crush this jihadi extremism once and for all, the US has balked because quite clearly it has never been in the US interest to see ISIS jihadi extremism, such as Al-Qaeda and its offshoots, to see them defeated, has never been in the US interest.